Get the latest job offer from Social Welfare and Bait-Ul-Maal Punjab Jobs 2019 Apply & Eligibility Criteria. Jobs in Social Welfare and Bait-ul-Maal Punjab are available and it is looking to recruit educated, skilled and experienced candidates to fill the following posts named as (Social Welfare Officer (BS-17), Deputy Director (BS-18), Director (BS-19), Deputy Director (Implementation & Rehabilitation) (BS-18), Deputy Director (Technical & Research) (BS-18), Manager (MIS), Software Developer, Assistant Manager (MIS), Database Administrator). 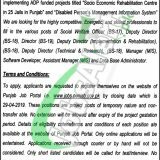 Jobs in Social Welfare Department are based at Punjab, for ADP funded projects titled "Socio-Economic & Rehabilitation Centres in 25 Jails in Punjab, Establishment of Disabled Persons Management Information System. Candidates wanted to apply should hold a qualification Masters / Graduation in the relevant discipline to apply. The appointment will be done on a pure contract basis and it can be extendable on satisfactory performance of an individual. So, only suitable candidates are advised to step forward and apply confidently for the vacant job as per the following how to apply procedure given below. Social Welfare and Bait-Ul-Maal Department is the Govt department and as it belongs to Punjab now so its governed by the Govt of Punjab and the major aim of this department is to provide social help and aid to the needy people and is known as the financial institute which is held responsible for the administration of taxes in Islam States and much more. Being a Govt entity it offers Govt jobs of different level. Address: Social Welfare & Bait Ul Maal Department 12-M Model Town, Ext. 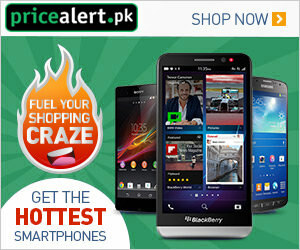 Lahore.